This is another Saveur Magazine recipe so go out and buy this magazine. it is the best. 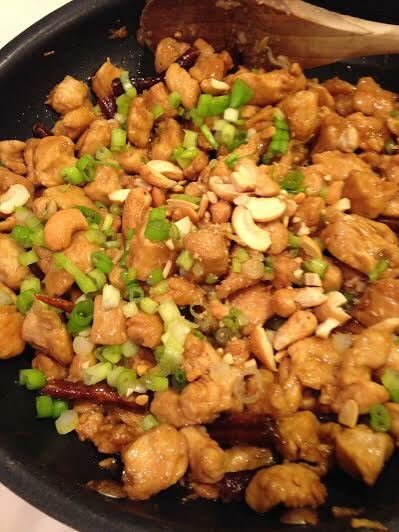 Marinate the chicken for at least a half hour in the soy sauce and cornstarch mixture. Mix the remaining soy sauce, rice wine, sugar, water, vinegar and sesame oil together. Set aside. Add the chicken and stir fry till done , about 5 to 7 minutes, depending on the size of the diced chicken. Serve with rice, vegetables and a crunchy egg roll.